On Saturday we had the total pleasure to help Tarnya & Nick celebrate their wedding - HURRAH! This super sweet couple got in touch first in January and we helped whip up their Sheffield wedding plans in just 10 months! Together with their 57 guests they arrived to glasses of perfectly chilled fizz, then meandered upstairs to tuck into our delish Northern Pies menu... super slow cooked pork, crispy bacon & spring onion pie, and delicate wild mushroom, asparagus, white wine & cream pie, all served up with mashed potato with cracked black pepper, the most buttery peas and the Sheffield must-have: lashings of Hendersons relish. Their pudding was our show-stopping DIY Eton Mess with rainbow meringues! They plumped for our 'grazing and roaming' style event, with our antique parquet tables in a big T shape at the front of the room - leaving plenty of space for mingling, dancing and celebrating! 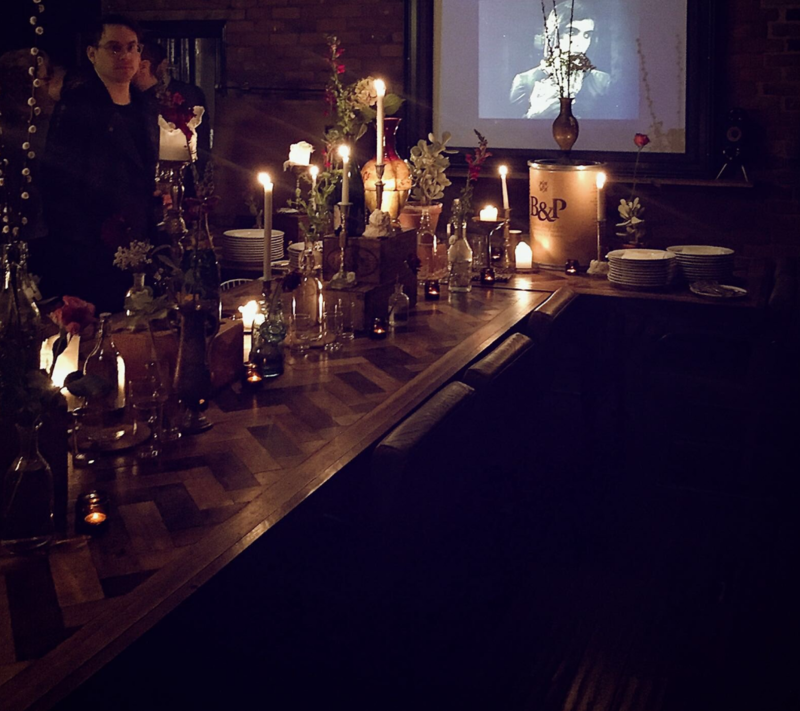 We stacked the tables super high with our collection of candles, antique vases, blooms from the incredible Swallows & Damsons - and our guests listened to handpicked tunes, nibbled on the extensive sweetie pick-n-mix selection and nabbed handfuls of popcorn! Best night ever! We feel so honoured to have shared this gorgeous evening with such a gorgeous couple - and we'll keep you posted with official pics of this dreamy do when they come in!